Genetics Technology is where you can donate your DNA to tell you wether you're healthy or not. 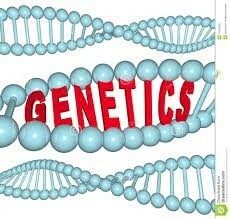 If you have diseases that are heredity. They take your DNA and put it on a Geno chip, and it shows your DNA formulas. There is also a thing called SNP. from everybody else. It also makes it easier for people to catch common diseases. Why Is Genetic technology Good? In my opinion, genetic technology can be a good thing. It can help you when you get older to see if you have any health problems or future problems. You can also use it to see if your children will have the same. Why Is Genetic Technology Bad? Also i think it can be bad. It can get the best of your nerves. If you get tested for anything you will be nervous to see the results. Also if you have any health problems it can change you life.